New major Assasin's Creed game next year. New major Assasin’s Creed game next year. During a talk with MCV UK about the success of Assasin’s Creed in Europe, Ubisoft’s European marketing boss, Geoffroy Sardin, mentioned that there will be a major Assasin’s Creed game next year! 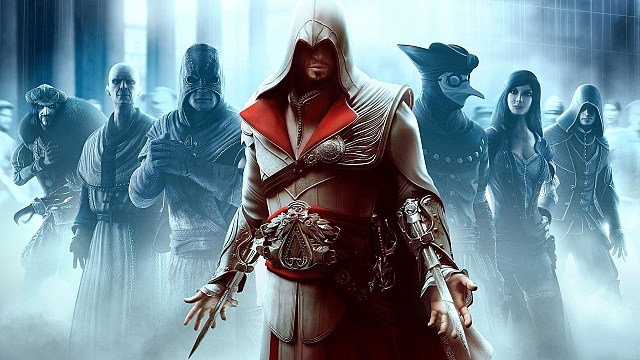 Considering Brotherhood has just been launched, it’s quite surprising to know we will get another MAJOR Assasin’s Creed title in 2011. Since Altair’s chapter has been closed and Ezio’s story has been explored in detail in Brotherhood, you can bet the new title will be Assasin’s Creed III. More Assasin’s Creed is a good thing but considering the rather short time to develop the game there is a chance they MIGHT mess it up. However considering their previous launches and the success of the franchise, I wouldn’t be too worried.